Today’s litigation teams must deal with ever-expanding case data. Although machine learning methods have improved substantially in the last decade, they cannot keep up because many legal technology platforms have not brought their core infrastructure up to date. 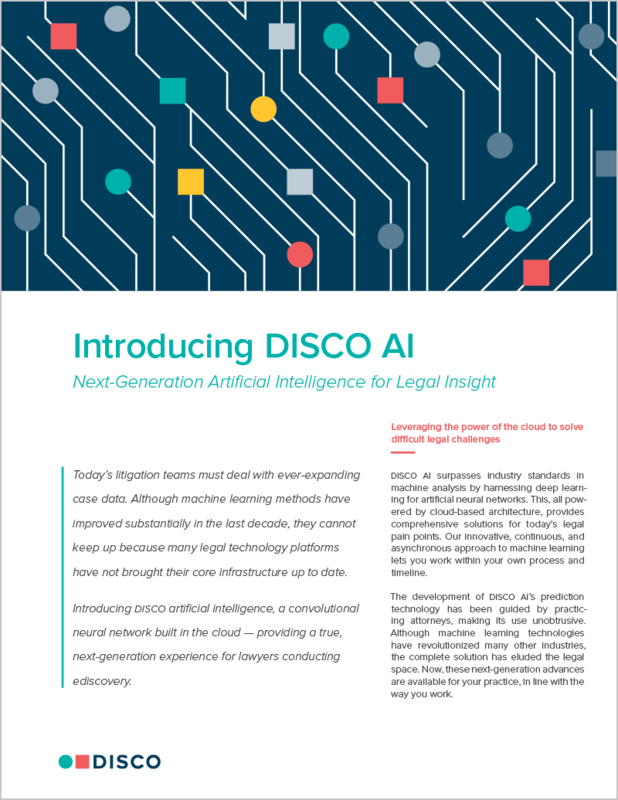 Introducing DISCO artificial intelligence, a convolutional neural network built in the cloud — providing a true, next-generation experience for lawyers conducting ediscovery.